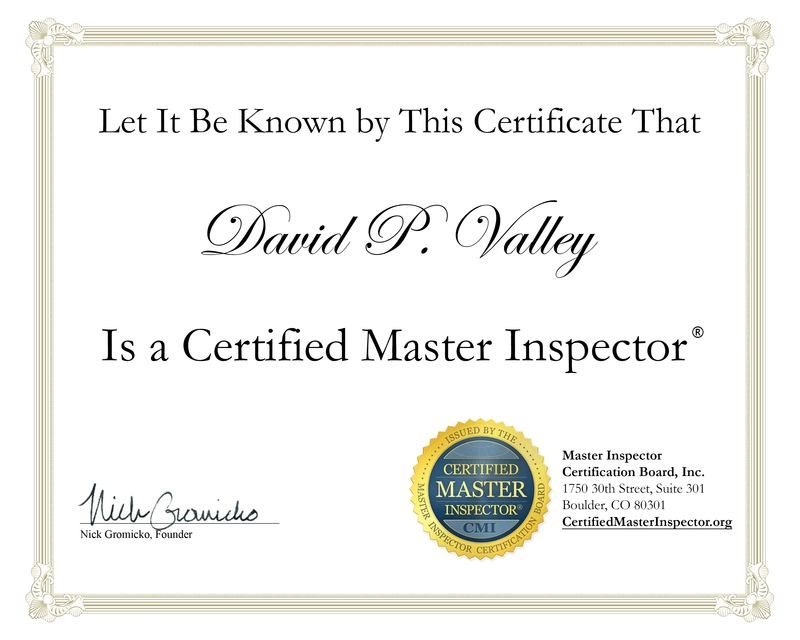 There have been no reports of short-term effects or symptoms caused by radon exposure. The only reported long-term effect of radon exposure is lung cancer. The Surgeon General has warned that radon is the second leading cause of lung cancer in the United States. There are currently no conclusive data on whether children are at greater risk than adults from radon exposure. No specific subtype of lung cancer is associated with radon exposure. Scientists estimate that approximately 15,000 to 22,000 lung cancer deaths per year are related to radon exposure. Radon is present in nearly all air. Everyone breathes in radon every day of the week, usually at very low levels. However, people who inhale high levels of radon are at an increased risk for developing lung cancer. Let me explain what happens when you breath high levels of radon. 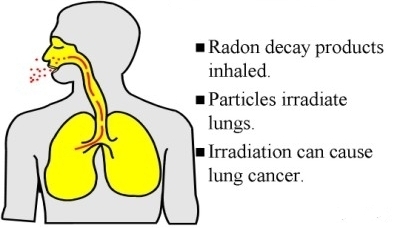 If you inhale a radon atom, the atom itself can disintegrate while it is in your lungs. When it disintegrates, it becomes polonium-218, which is a metal. This metal atom can get trapped in your lungs, and over the next hour or so it will emit a number of alpha particles, beta particles and gamma rays. It eventually turns into lead-210 with a half-life of 22 years, which is fairly stable in this context. But now you have an atom of lead in your system, which now causes its own problems. It's the quick, hour-long sequence of alpha, beta and gamma emissions that can lead to the mutations in the lung tissue, which can cause lung cancer over the course of your lifetime. Sounds interesting, huh? Now, the risk of lung cancer from radon exposure increases enormously if you are a smoker. If you smoke tobacco and you are exposed to elevated radon levels, your risk of lung cancer is especially high. If you stop smoking now, you can lower your radon level which will reduce your lung cancer risk. Not everyone exposed to elevated levels of radon will develop lung cancer, and the amount of time between exposure and the onset of the disease may be many years down the road. Breathing radon gases does not cause any short-term noticeable health effects such as shortness of breath, coughing, headaches, or fever. So, you can clearly see that a high concentration of radon gas in your home (despite the fact that it is completely natural), is not something anyone would want in their home or around their family. 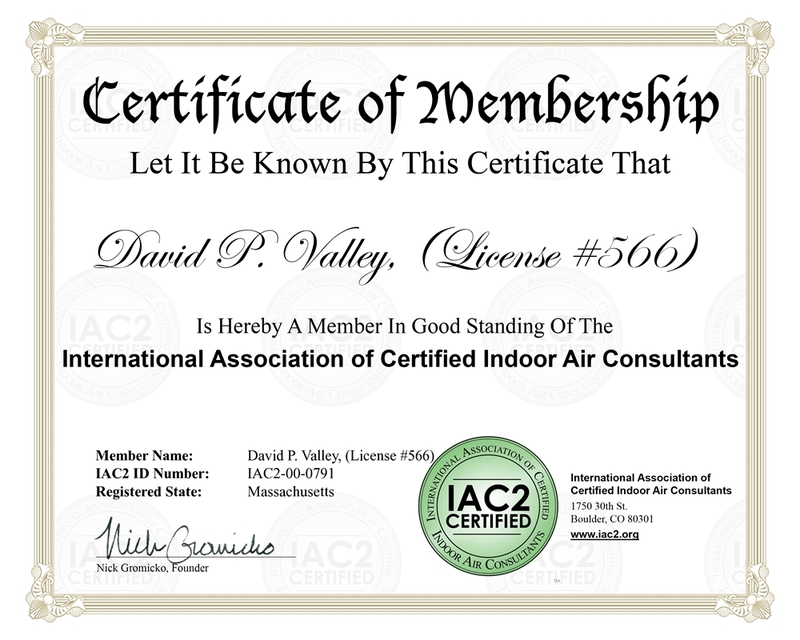 HOW OFTEN IS INDOOR AIR A PROBLEM? Nearly one out of every 15 homes in the United States has a radon level EPA considers to be elevated - 4 pCi/L or greater. Massachusetts radon statistics are even higher in some areas. The U.S. average radon-in-air level in single family homes is 1.3 pCi/L. Because the average person spends as much as 80 percent of their time indoors, indoor exposure to radon is an important concern. 1.3 pCi/L About 20 people could get lung cancer Average indoor radon level Reducing radon levels below 2 pCi/L is difficult.